My “landline” phone in my house is connected over voip through my fiber and I’m using the service provided by Affinity Telecom. A company I never heard of before and I can only presume it is a fairly small one. Everything is working out fine, apart from one annoying little glitch: every other month or so my phone reports itself as either busy to a caller (or just as if nobody picks up the phone) and the pingcom NetPhone Adapter 201E voip box I have needs to be restarted for the phone line to get back to normal (I haven’t figured out if the box or the service provider is the actual villain). In my household we usually discover the problem after several days of this situation since we don’t get many calls and we don’t make many calls. 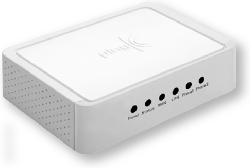 (The situation is usually even notable on the voip box’s set of led lights as they are flashing when they are otherwise solid but the box is not put in a place where we notice that either.) Several days of the phone beeping busy to callers is a bit annoying and I’ve decided to try to remedy that somehow. Luckily the box has a web interface that allows me to admin it and check status etc, and after all, I know a tool I can use to script HTTP to the thing, extract the status and send me a message when it needs some love! Ugha! So it downloads a salt, does hashing, salting and md5ing on the data within the browser itself before it sends it off to the server. That’s is so annoying and sure I can probably replicate that logic in a script language of my choice but it is going to take some trial and error until the details are all sorted out. Lovely! That ‘Idle’ string in there in the <Call> tag is the key. I now poll the status and check to see the state in order to mail myself when it looks wrong. Still needs to be proven to actually trigger during the problem but hey, why wouldn’t it work? Now I’ll just have to wait until the problem hits again to see that my scripts actually work… Once proven to detect the situation, my next step will probably be to actuallyÂ maneuverÂ the web interface and reboot it. I’ll get back to that later..